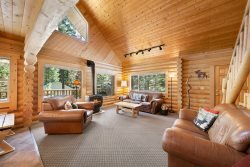 Two story log home tucked up in the mountainside at the south side of Wallowa Lake! Thank you for your inquiry. We will get back to you shortly!